John works with clients to provide solutions to problems and to avoid potential problems for business interests along the waterfront. John's experience and close relationships with the USCG, surveyors, port authorities and repair facilities help facilitate expedited resolutions to the multiple (and sometimes unique) issues facing maritime clients. 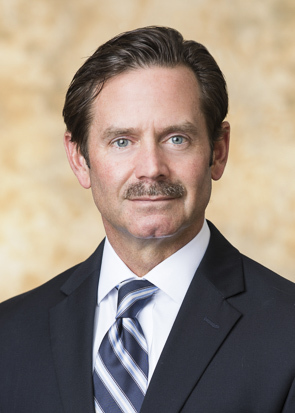 He serves as the co-chair of the firm’s Transportation & Maritime Litigation section and has been recognized by many highly regarded organizations and directories nationwide. Born and raised on the nearby Mississippi Gulf Coast, John has practiced in Mobile since 1993. After graduating from the University of South Alabama, John attended Tulane University School of Law in New Orleans, serving as a Managing Editor of the Tulane Law Review. Following law school, John served as a law clerk to the Hon. John M. Duhe’, Jr., United States Court of Appeals for the Fifth Circuit. John was invited to participate and grade briefs for the 2016 “Judge John R. Brown Admiralty Moot Court Competition,” sponsored by the University of Texas School of Law. This is the second year he has participated in this interscholastic appellate advocacy competition. John is a long-standing participant and judge of the Mississippi State Bar’s High School Mock Trial Competition for the Coast Regional Rounds in Gulfport, MS.